Within the plans of the HS2, there has been serious conversation as to what should be done with regards to London Euston Station. For example, whether it should be demolished and re built or completely revamped to match the futuristic mode of transportation that HS2 will become. Current Chancellor George Osborne openly stated that it may be a good idea to contemplate a renovation on London Euston Station. The above idea came to light following Mr Osborne’s visit to veiw a similar speed rail station in Kowloon, Hong Kong. The HS2 is set up in many different phases, each of which is estimated to take a fair while to complete. The timescales regarding each phase are said to start from 2017 and be fully completed by 2033, numerous years later. Leading on from this, back in April 2013 plans to obliterate London Euston station had been terminated and exchanged for the above proposal to compensate for this. Referring back to the above suggestion by Mr Osbourne, sources following a public meeting advocated that the manufacturers who were chosen to restructure Euston station admitted that they had quoted £500 million too little with their initial estimations. Is the reason as to why they had to downsize the plan and take a steadier approach? In light of Mr Osborne’s comments, a spokesman from the Department Of Transport supported him by stating the following; “The Chancellor is absolutely right to point out the fantastic opportunity HS2 provides to regenerate Euston. Plans are currently being considered by David Higgins as part of his broader review of the project and he will report back shortly”. As well as progressing, the HS2 project also seems to be collating further changes along the way. Could these changes benefit the environment or areas surrounding the structure? Could it creating new jobs at a costly time scale or provide an easier method of transport or could this costly development be creating more problems than it is worth with regards to the future economic development? 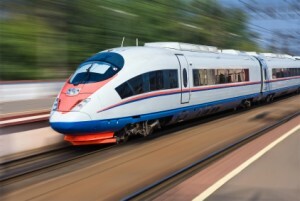 Pali can provide you with a report called the Groundsure HS2 and it can be purchased for £18 inc VAT, if you would like to know more about this report simply email search@paliltd.com or feel free to call 0151 691 1170.